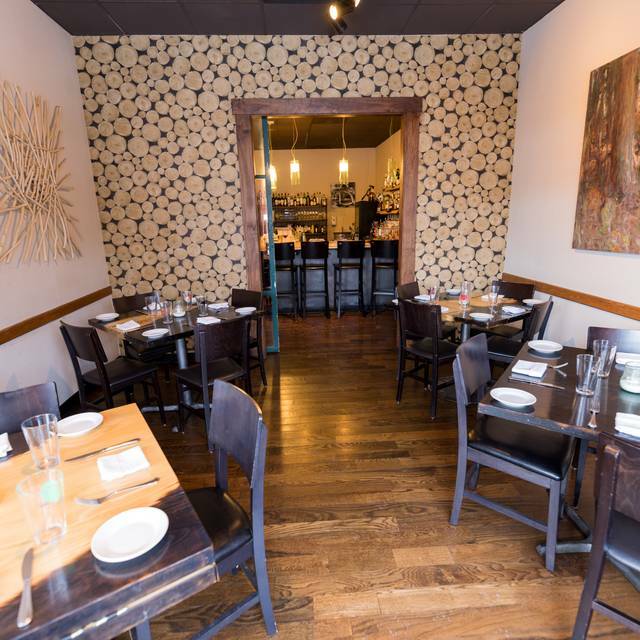 You must make reservations at least 5 minutes in advance of the time at Luca. Complimentary valet is available at the corner of 7th & Grant. Some street parking available is also available in the area. Chef Frank Bonanno dug into his Sicilian heritage and east coast roots to create this authentic Italian Eatery. 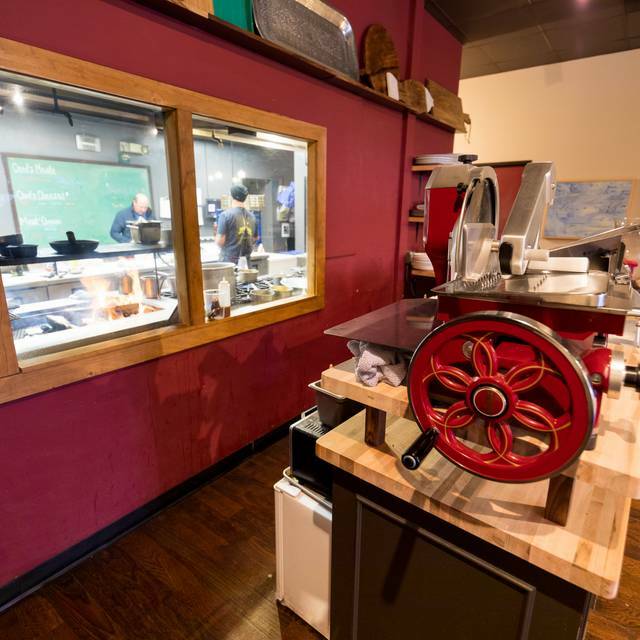 Luca has amazing personal touches from the daily made breads and pastas to the meats and cheeses that are cured in house, to the charcoal drawing of Bonanno’s son (and the restaurant’s namesake) that hangs in the dining room. Luca is colorful, lively, and tasty; the menu is designed for gluttonous abandon. It’s not your ordinary pile-of-pasta-and-sauce Italian joint; it’s the real (and tasty) deal. We were celebrating my wife and my son’s birthdays and decided that Luca was the place to be. We were absolutely gobsmacked! I had dined here several years ago, and am so grateful we went back. The service is professional, but friendly. 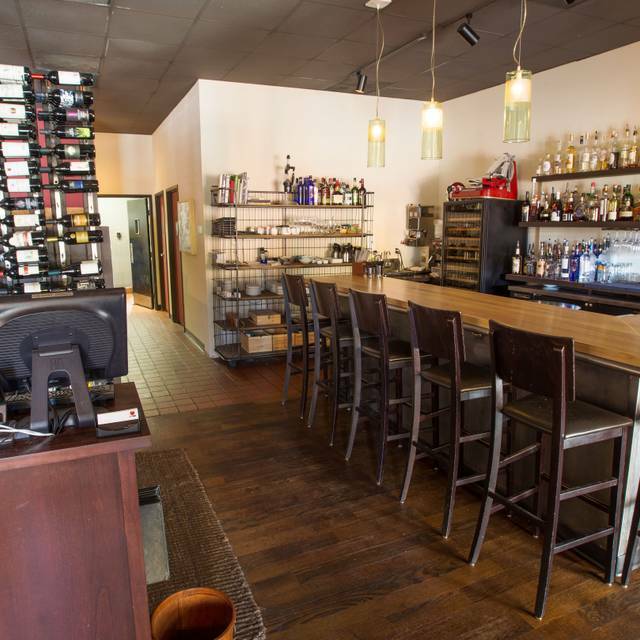 Feels like you are coming home to your favorite neighborhood bistro, despite our long absence. Having our five year old son along never felt like a problem, as it does so many places. Not even a sense of annoyance from the staff or management. His pizza came quickly and he was a happy kid!! The ambiance is understated, but appreciated. The decor is pleasant and doesn’t attract too much attention to itself. Subtle, but perfect!! Because let’s not pretend we are there for anything other than the spectacular food. 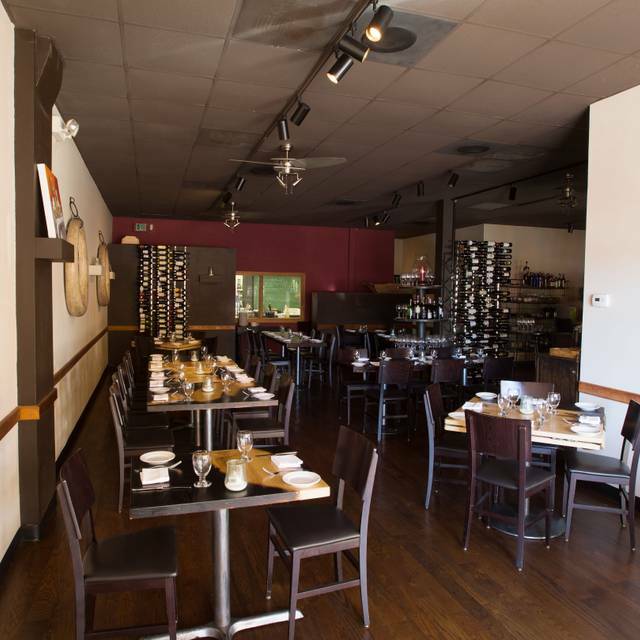 This place has always been delicious, and continues to fulfill its mission - to elevate homemade Italian with a hint of elegance! We enjoyed the combination meat and cheese plate with burrata and it was delicious. The oily, spiced delicacy of the meat and the soft cream of the cheese, were perfectly matched by the crisp veggies and olives. We followed that with the octopus appetizer and the Sicilian calamari. The octopus was perfectly cooked - tender and delicate. The calamari was spicy and flavorful - a nice departure from the fried concoction you find too often. We share four pastas - wild mushroom fusilli, the lamb ragu, papardelle with bolognese, and the short rib agnolotti. All delicious, though we agreed the the short ribs needed an acidic punch to counter the fat from the ribs. Overall - amazing and so many delicious flavors. We finished with four desserts, rhubarb strawberry tart, peanut butter cannoli, deconstructed carrot cake and the butterscotch bread pudding. All were the perfect blend of sweetness and flavor, but we had seconds of the bread pudding. We were happily surprised at the total bill for a table of five, several glasses of decadent super toscana and a few cocktails! Food fantastic. Wait staff and hostess welcome responsive, knowledgeable and friendly. Free parking. Overall, great experience. Only suggestion, wines by the glass very reasonably priced but by bottle all pretty pricey. Possibly the cellar is from the old Luca? Great brunch. Loved the host!! Love this hidden gem. This was our second time here and it was just as good as we remembered. First time was after we got engaged. Service was above and beyond both times and we had a great experience. The servers are well trained so they aren't interacting with you too little or too much. Food was excellent, but service was quite slow. We waited five minutes for our table to be set, waited for water and water refills, waited too long for food. Everything was just slow. Our meal was over two hours long, and all we had were an appetizer and entrees. I don't want to be rushed, but this is the opposite. Everything was wonderful. Service food ambience! Everything was so wonderful!! Cannot wait to go back. The service from the wait staff was great as was the food. The manager’s behavior towards and treatment of the staff while they were serving guest was unprofessional and off putting to the customer. Further, the major bent over backward towards some quest while ignoring others. Over all, extremely poor management but great food. Meatball appetizer and the Octopus with sausage was very good. Rigatoni House Sausage, Fennel, Vodka Sugo was also good. The Murgo Barbera d’Alba went very well with everything. 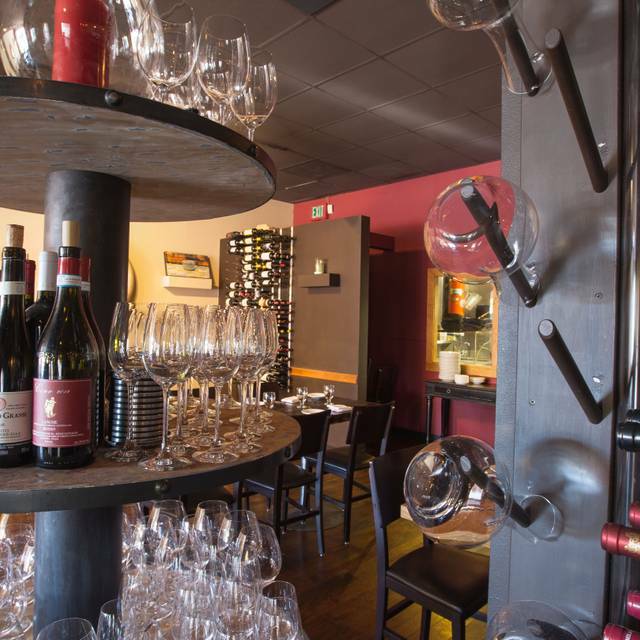 We reserved at Luca when we were unable to get seating at the time we wanted at Osteria Marco in downtown Denver. We figured that the restaurants were in the same "Family," owned by Frank Bonanno Concepts and were happy to give Luca a try. Trip Advisor gave it excellent reviews, though Yelp a little less glowing with the main objection being value. 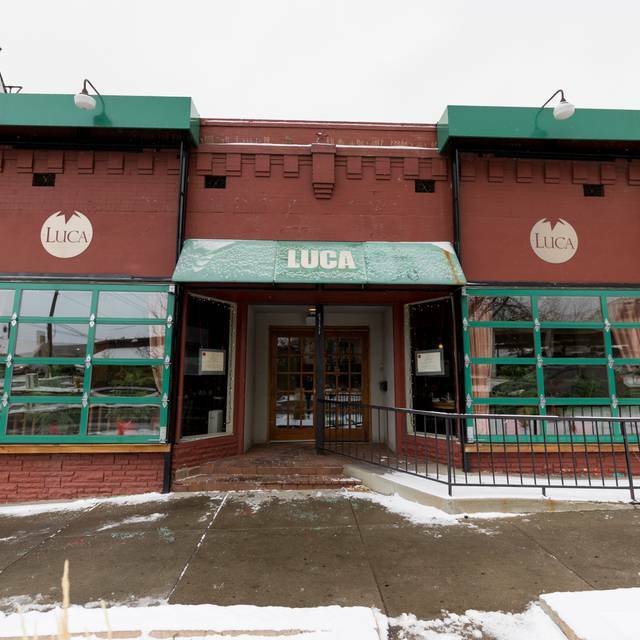 Having previously enjoyed dining at Osteria Marco, we were looking forward to trying out Luca, situated on 8th and Grant in Denver. The restaurant itself is quaint, with candles lit at every table, a view of the kitchen, and the Charcuterie Board preparer in the dining room itself. My husband, daughter and I shared the Charcuterie Plate, which came with cheeses, meats, 2 types of mustard and olives. My husband was starving so he also ordered the Sicilian Calamari -- which comes stewed in a spicy tomato sauce. For drinks ($12 each), he enjoyed 2 cocktails and I had a cocktail and a glass of house red. My daughter ordered the Margherita Pizza for her main course, and I had the Short Rib with Brussel Sprouts and Red Potato Puree and my husband had the duck with leek puree. Everything was delicious and very well seasoned. We opted to box some of our meals to leave room for dessert. We tried the first three listed on the menu, and the Bread Pudding was the best of the three. While we were finishing our main courses, the manager came over and took my (not quite empty) glass of wine and (not quite empty) cocktail from my husband. I was a little puzzled as we were hoping to enjoy the last few sips. I decided to approach the manager and ask him why he had taken our drinks from the table... He was surprised at my question and said he had thought we were done! He made up for it by giving us complimentary Champagne with our dessert! We would definitely go back to Luca, but it did put quite a dent in our wallet at $240 for the meal, including the tip! The food as always was on point, but I made a reservation for bar seating, which means a seat at the bar. Service was unfortunately very slow. It took 15 minutes to receive my white wine and place an order. I grew tired of waiting so decided to just order a salad and a small pasta. The Grilled romaine was tasty, but before it arrived food runners tried to deliver food items that were not mine to me 3 times. The pasta arrived around 10 minutes after completion of salad. Many customers at the bar were receiving similar issues on food/beverage delivery and trying to pay their check. Only 1 bartender was present, and it took another 15 minute period to receive an iced tea. When I decided I would order an entree from another restaurant instead of long waits to order from Luca, I handed my card to the bartender to ring up my order. When he returned 10 minutes later the bill was for over $70. When I let him know he rang up the wrong order he corrected it, but didn't return with a receipt for me to sign..another 5 minute wait and I finally had a receipt to sign with the correct total. Perhaps if bar service is to be valued, 2 bartenders need to be present on Fri/Sat. I walked around the corner to another of my favorite restaurants, Mizuna for entree and dessert. Food was great, but service this visit really let me down after several great visits in the past. The waiter was leaning on the table instead of standing tall. He was polite and knowlegable but should present a more professional image. The food was GREAT. We could taste the fresh ingredients and see the thoughtful menu planning. My boyfriend and I got the 4 course meal + a bottle of wine for $50. Which was an incredible deal for the price and the amount of food we got. I am not sure how long this is running but get in there ASAP to take advantage of it. 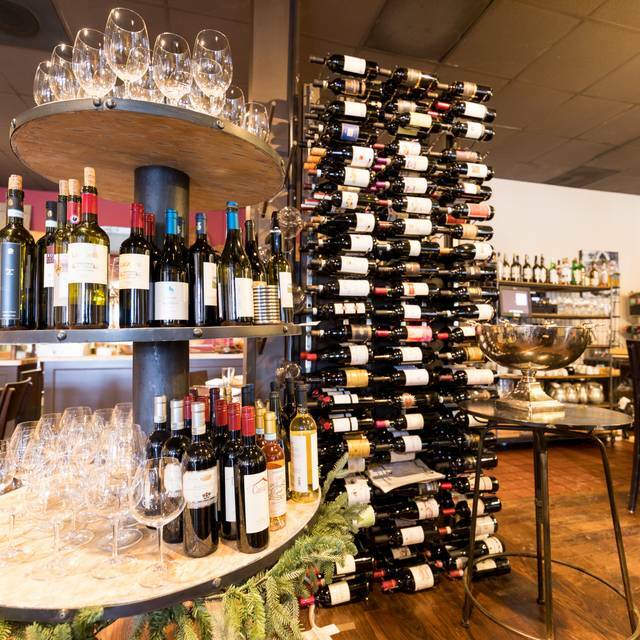 Choice of red or white wine, a cheese plate, a salad, choice of pasta and choice of pizza. We did house red wine, the lobster pasta and the margarita pizza. Lots of real lobster chunks in the pasta, perfectly cooked pizza and the freshest salad and cheese. The service. I know the European dining style is slower which America has ruined due to fast food BUT this wasn't a style of service thing, this was just poor service. It was extremely slow which would have been fine but there was no communication from our server. He would just avoid us. Then if you are going to be slow, at least offer more alcohol. Guaranteed item to make guest happy. My glass/ bottle had been empty for maybe 20 minutes and it wasn't until we were polishing off the last of our pizza that I was offered another glass. The check could have been $100 more for him if he kept coming around! The place isn't even that big (maybe 15 tables?) . I will definitely go back and give this place another try because the food was so good and hope the service redeems itself. The food was very tasty, every dish we had was superbly crafted, the ambiance was good, not too loud, the service could have been better, there was nothing wrong with it but it was not up to par with the tood. THE ONLY COMMENT IS PLEASE STOCK MAKER'S MARK IN BAR! I HAVE BEEN TO THREE BARS IN DENVER AND NO ONE CARRIES IT. WHAT GIVES??? Great spot. Love the ambiance and the waiter Charles was great! This was our first time at Luca and we will definitely be back. Everything was delicious - a highlight was the meat and cheese plate with added homemade burrata. Charles took excellent care of us and made our dinner special with his recommendations and friendliness. A great bday dinner! Late night meal of the house salad and the mushroom pizza. Heaven! I brought my wife to dine at Luca, 1st time dining here. Everything was WONDERFUL!!!! We will be returning again. Great everything just a little pricey considering the amount of other great restaurants out there for less expensive. So glad we gave Luca a second chance. Our first experience here was with a large group. 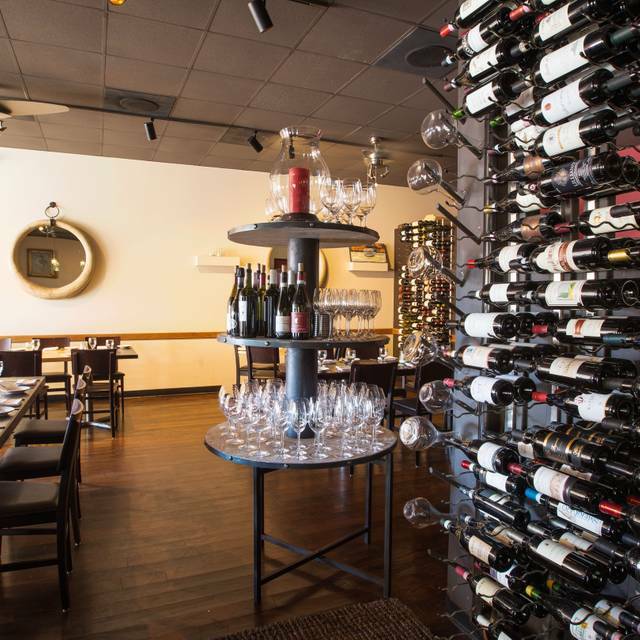 Food reviews were mixed, and overall we felt we'd overpaid for a not-so-great experience. Upon returning (just my partner and me this time around) we had a wonderful experience. Charles, our server, was excellent! The Margherita pizza was authentic and flavorful, showcasing quality ingredients prepared right. The pizza crusts (gluten-free and regular) were perfect for both of our orders. Drinks were good (although pricy) and appetizers did not disappoint either. The kale salad was simple but satisfying - thankfully not overdressed. The calamari and sauce it was prepared in had us returning clean plates to the kitchen. Cozy environment, tasty food, and great service mean we will be back in the future. Great restaurant awesome server! The food was hit or miss. We had the meat and cheese board and added the borata which was amazing! I had the mushroom pizza. Wasn't a lot of mushrooms and the crust was soggy! 😑. Husband had the beef spare ribs which was awesome! Brother had the duck! It wasn't rendered at all and was chewy...would maybe come back service was good food was ok.
We really enjoyed our evening at Luca. It was quiet enough to have conversation but lively enough o be fun. The food and service were both outstanding. Highly recommend the papparadelle bolognese and the whole cooked fish. I've always loved the food, cocktails, and service at Luca! Surprised by the 2 for $50 menu which we all took advantage of. Everything was quite good. The 3 boys loved it. Coldest night in Denver since 60 years, so I’ll cut them some slack, but it was cold at our table for awhile. The boiler must’ve taken a bit to kick in. Food, however, was outstanding as always. Went for restaurant week, but I’m sure it’s no different than any other night. Perfect portions; even though it looks small went first put in front of you, the three courses we had put a strain on the old belt! And the freshness, quality, and taste are fabulous! We’re guilty of not going as much as we should, so thankfully restaurant week comes by to remind us how great this place is. What an incredible experience, very personal, felt as though a family was running the place and we were family visiting! Big disappointment. Had not eaten there in several years and was remembering it as back in the day producing some of the finest dining experiences when I lived closer to Downtown so I jumped on Restaurant Week special-pricing with limited menu. Wife and I went to an early Saturday evening seating. Restaurant was curiously un-busy. We ordered martinis to start, and then for appetizers I had the meatball and Rita had a nicely fresh but unremarkable Arugula Salad. The sugo on my meatball was truly outstanding and the meatball, though tasty, was tough and rubbery. For Secondi I liked the homemade Fettucine in my Bolognese which was tender but toothy and properly done. But the Bolognese sauce had none of the meaty richness nor unctuousness of a well built Bolognese. Needed salt too. Rita's squid ink pasta with clam sauce had good flavor but there was very little clam meat in the broth and what was there was so finely minced it slid off the pasta. That noodle was also well made and perfectly Al Dente. For mains I had the chicken parmesan which turned out to be a small skinless chicken breast paillard with a nice schnitzel-like crusting covered first with the same delicious Marinara sauce that had rescued the meatball and then what appeared to be a melted and re-solidified disc of Asiago (I think) on top of all with a barely detectible dusting of Parmesan. Okay but not terrific. On the other hand, Rita's grilled flank steak was uncuttable and unchewable. Or more properly it was infinitely chewable as it refused to yield its ropiness before being spat out (Rita's bite) or being swallowed like a ball of wet string (my bite.) The waiter insisted on replacing the steak with one that was cooked properly and buying us dessert. The replacement steak was identical to the first one. The waiter was nice and attentive and his wine suggestion was excellent. Dessert of Lemon Cake with Lemon Sabayonne was pretty good. We won't be going back anytime soon. We were lucky to get reservations on a Saturday night and really enjoyed the menu. Our party fo 6 sample many choices from the menu and found all to be generous portions and tasty. The waiter was excellent. My husband felt the pomodoro sauce at Luca was thick, almost a marinara, compared to that at the Milk Market. The food temperature was not as "hot from the kitchen" as I'd like. We were only disappointed that the gelato selection didn't include stracciatella. Everything was wonderful! Great food, ambiance & service from Luke. The food was fairly bland. I have been wanting to try this place for a long time and was disappointed overall. The wine was very expensive, but good. The service was excellent! However, we had to go to another restaurant after because the portions were very small. Restaurant week dinner was good — the starters and the pasta courses especially. The entrees were so-so. I do have a bit of a bone to pick. I bought a Bonanno Concepts $100 gift card back on cyber Monday. Have not used it, but when I gave it to the waiter he came back and told me it had a zero balance. I told him that was not possible since I had not used the card. Anyway, could not get them to honor it. Since then I have been reaching out to them by email and voice mail without response. Have been a loyal FB customer for many years— not super happy with the complete lack of follow up by the staff. Follow up -- heard from Luca and they are solving my issue. Thanks!! 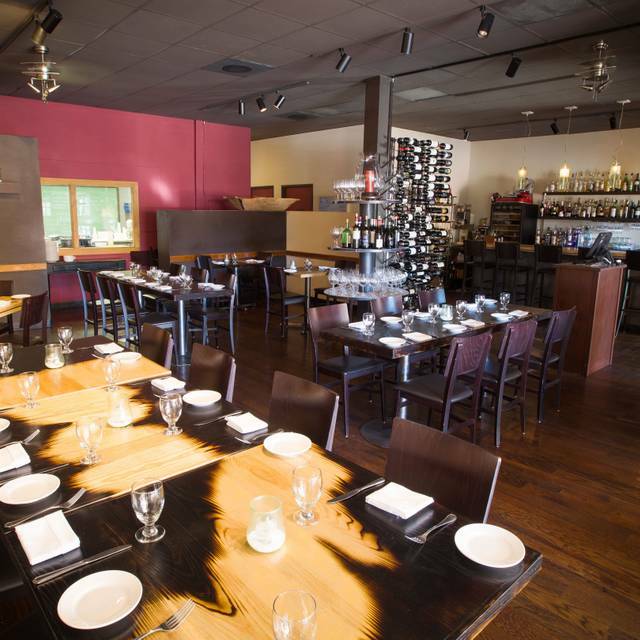 Excellent food, cozy ambiance, and great service. What more could you want? Ambience was very nice. Food and service was excellent! I am a big fan of Luca's little brother Osteria Marco, but I have to admit the burrata at Luca is a notch or two up. My wife and I were amazed at the fact that we thought OM was the best in the state until last night. The menu has its own amazing delicacies that differ from Marco, and that is a wonderful thing. The pasta was delicious, and the shrimp was some of the best I have had in a while. My wife had the steak enjoyed it thoroughly. We just made reservations for March to introduce our friends to this treasure. Went during DRW and they had a great selection. Squid ink pasta was amazing! Service was outstanding. Overall we had a great experience and will return! Everything was delicious and the level of service was superb. We dined over restaurant week. I appreciated the options for the 3 course, fixed menu. Cocktails were delicious and dessert was outstanding. Will definitely go back. Great meal with great service. The atmosphere is nice, and fairly quiet, which is so appreciated. Jake was our server and he was excellent. We have a wonderful and relaxing experience. The smoked mozz was delicious, as were the meatballs. My fiancé had the fusilli and I had the bolognese, paired with a great Nebbiolo. Finished with the Chocolate Bavarian dessert. Awesome meal. Awesome service! Overall fantastic. Great service and delicious food. The staff were very knowledgeable and helpful when it came to making recommendations. A little pricey but well worth it! Great place for a date night. Will definitely return.